Choosing the correct windows can affect the overall feel and style of your space. So if you have any doubts, contact a Milano Windows and Doors representative to discuss the options that will suit you best. Single hung windows consist of both stationary and moving sections, which give you full control over how much air you want to allow in or out. As they are hung vertically, single hung windows are suitable for rooms where large windows are not an option. Additionally, here at Milano Windows and Doors Inc., we are able to offer a wide range of styles and finishes to make sure it will compliment the rest of your space. Choosing vinyl single hung windows will allow better energy saving, as less air will enter and exit your home, keeping the temperature steady. The lower sash is sealed to the frame when closed, but adding weather stripping will improve performance even more. Single hung windows offer excellent insulation, and yet are 10-20% cheaper than a double-hung window. Because of the energy savings and the improvement in the appearance of the home, there are even more savings over a long period of time. No matter if you are planning to replace existing windows to improve energy efficiency, or you are putting your property up for sale – all of our product come with a transferable lifetime warranty which includes flaking, blistering, peeling, corrosion, and fading of the vinyl frames. 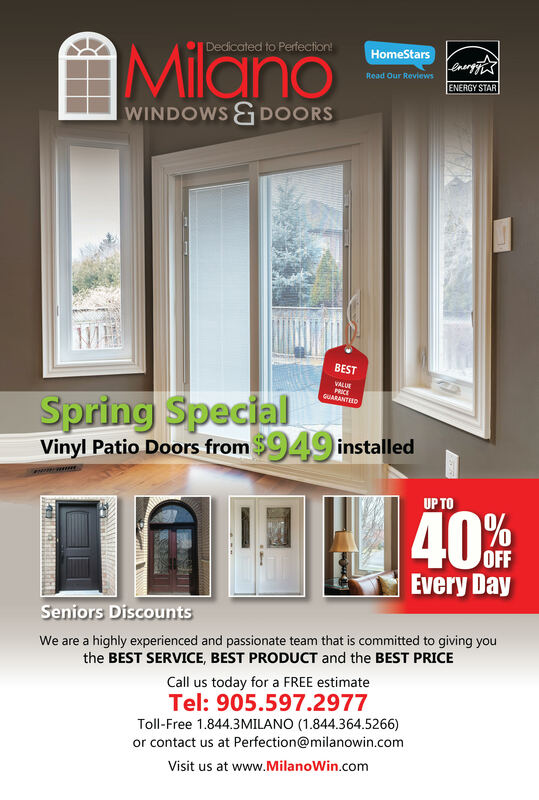 Milano Windows and Doors is a versatile company that has installed multitudes of various projects, and we will be happy to take on any new project, big or small. Give us a call today for your free consultation.